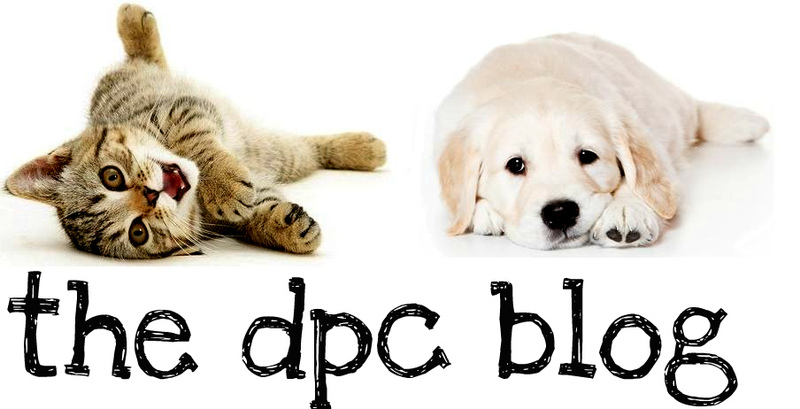 DPC's Blog: Pet Insurance - Worth it? Veterinary Pet Insurance - Is It Really Worth It? With the state of our current economy, having so many people unemployed and uninsured, it seems unrealistic to expect anyone to think of something like veterinary pet insurance. However, when you think of the millions of dollars that loving pet owners spend annually on veterinary care for their furry babies, it begins to make more sense that we would try to advocate something that would save you money. Isn't that, after all, what everyone is looking for nowadays? We all want to do whatever we can to save money and cut cost without affecting the quality of the goods and services we receive. I cannot begin to tell you how many hours I must have logged during my ten year career in the veterinary field discussing pet insurance and answering the age old question of - Is pet insurance really worth it? Well, today I am going to tackle this issue for you lucky readers. Pet insurance is similar to human coverage in that you have varying options for insurance plans, deductibles and claims that have to be made. You may see that a local Pet Supermarket has in-house coverage that sounds terrific but the catch there is you can only use that coverage if you use their facility. Which means you may be paying them a monthly fee that could prove useless if you have an issue at a time that they are unavailable or that they are not equipped to handle. That isn't ideal because let's face it, where pet insurance really proves worthwhile is not for the routine stuff but that late afternoon sometime when your dog decides to chow down on a dark chocolate frosted cake you innocently left sitting on the kitchen table before dinner. Or how about that long string your kitten ingested that now needs to be surgically removed? This all brings me to my next point. Pet insurance plans vary in coverage - some going as far as to kick back a portion of that pesky fee you pay annually for the routine stuff - but the nitty gritty is that you want to get back a really nice chunk of change if ever you have an emergency and end up depleting your bank account unexpectedly. I think we can all agree that it's nice to get back some money everytime you shell out for a vet visit; but where is the benefit in a policy that covers only a portion of annual vaccines and then ends up paying you back an amount that is equal to or less than the total amount of the payments you have made for the past year? You have basically paid the company to hold your money for you and then you still have to pay the veterinarian up front and wait for reimbursement. Not ideal, right? Clients are frequently asking me about pet insurance with the obvious assumption that it works like human coverage - you pay a co-pay at the time of your visit and then the insurance takes care of the rest. This is false. Unfortunately pet insurance is not as established or as sophisticated as the network for human coverage, and payments are generally made to the policy holder rather than the facility. Payments also take a varying length of time to reach the policy holder, as each company has a different protocol for reviewing their claims. From the veterinary facility's point of view, you have to remember that we are independently owned and operated. We do not receive any special funding and in this economy lots of facilities are ending up having to close their doors or jack up their prices to make ends meet. If we were to wait for reimbursement on each case where the client had pet insurance we would be in a tough spot financially. Now back to the topic at hand.. When considering whether or not to bother acquiring health insurance it may be a good idea to step back and consider a policy that will cover the unexpected, emergency situations. The amount that the insurance will cost you each month will be much less than it would cost to have a broader coverage that includes routine visits. This will make it a little easier on your pocketbook on a monthly basis and will help you if ever you have an emergency situation, your pet falls ill or you need to have a surgery performed. So it all comes down to dollars, right? Okay – RESEARCH IT! Always remember that the company will normally give you a quote, free of charge, for several different plans either via the internet or phone. It doesn't hurt to call up and ask them what plans they offer, what they include, and how much they would cost monthly/annually! Tip: Make sure that you ask about any age/breed restrictions. For example, if you have a Bulldog you may have a hard time finding adequate coverage for things like hereditary/breed-specific/genetic problems. I.E: Bulldogs are prone to a range of dermatological issues and hip dysplasia and many companies will include a clause barring you from collecting on any claim that includes treatment for such things. This is certainly a factor on whether or not it will be worthwhile to cover certain breeds or pets who are seniors. Some companies have an age ceiling that will restrict you from covering a pet who is considered too old. Finally, as my last insight, I'd like to remind everyone that you will not be able to cover a pet for an illness after it has been diagnosed. 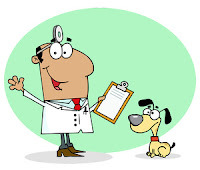 First of all, if your pet is brought in unexpectedly for an illness and you are given an estimate for treatment that exceeds your means, you will not be able to run home and get coverage to use right away and receive reimbursement. As with humans there is a waiting period after enrollment that you must observe before you can begin making claims. Secondly, if your pet is diagnosed with a defect or illness as a puppy and you try to insure him as an adult, they will require that you provide medical records and any ailments that are documented prior to coverage will not be eligible for insurance. This is why it is so important to insure your pets as young as possible! We provide all puppy and kitten owners with brochures for pet insurance at the time of their first vaccination visits, encouraging them to consider enrolling immediately. That way all future issues will be properly considered for coverage! DPC also has 30-day trials available of pet insurance for pets under 1 year of age, courtesy of Trupanion Insurance Co, that waives the enrollment waiting period and is eligible for use immediately. You will not have any waiting period if you enroll immediately after the 30 day trial expires. Trupanion only covers illness, surgery and emergency visits - not routine care. Curious about some pet insurance companies to check out?